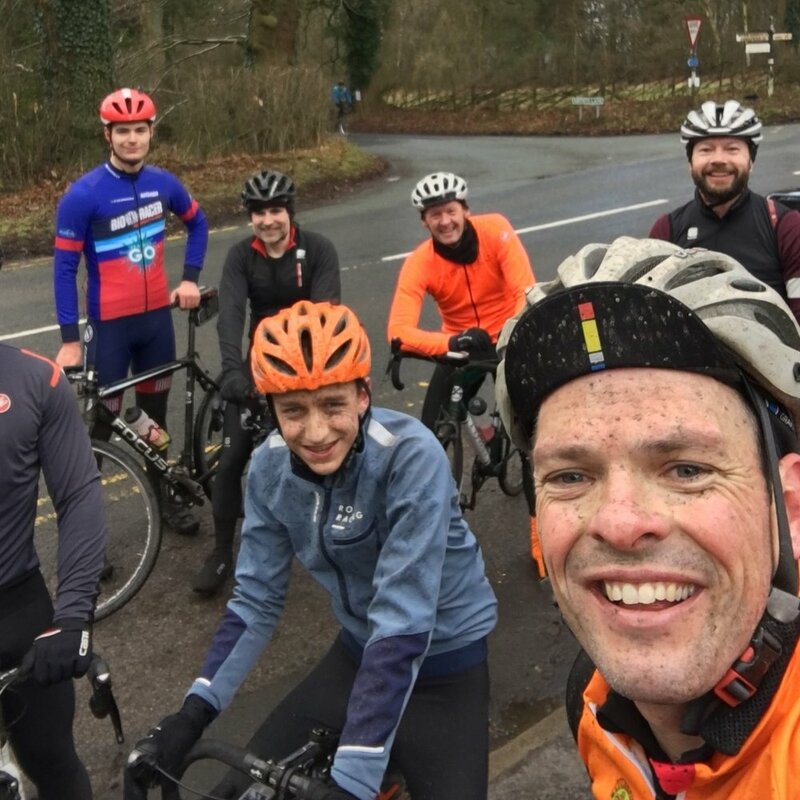 With Monica, Ben, Simon and Jo riding in the Mallorcan sun, seven riders set off from a cold and blustery Macclesfield on a 50- mile loop around Tatton Park and Arley Hall. The pace was good, averaging 18.5 mph to the top of Artists Lane, where guest rider Nico took the spoils, closely followed by young Ollie. The rest of seven man crew were Dom, Chris S, Steve L, Ant and me.